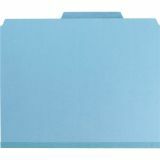 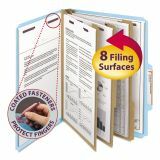 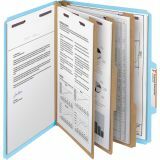 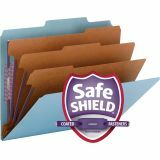 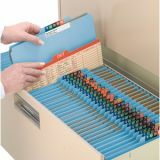 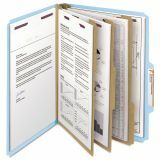 Smead 3" Expansion Classification Folder, 2/5 Tab, Letter, Eight-Section, Blue, 10/Box - Heavy-duty classification folders feature patent-pending SafeShield Coated Fastener Technology to help prevent paper tears, finger cuts and excessive fastener crinkling. 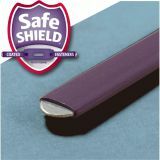 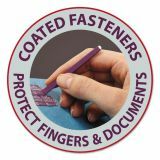 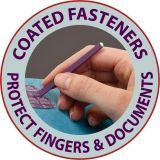 SafeShield adds protection for papers and fingers while also reducing fastener crinkling. 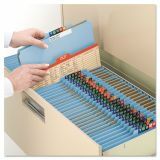 Fasteners on front and back panels and dividers create separate filing surfaces within one folder. 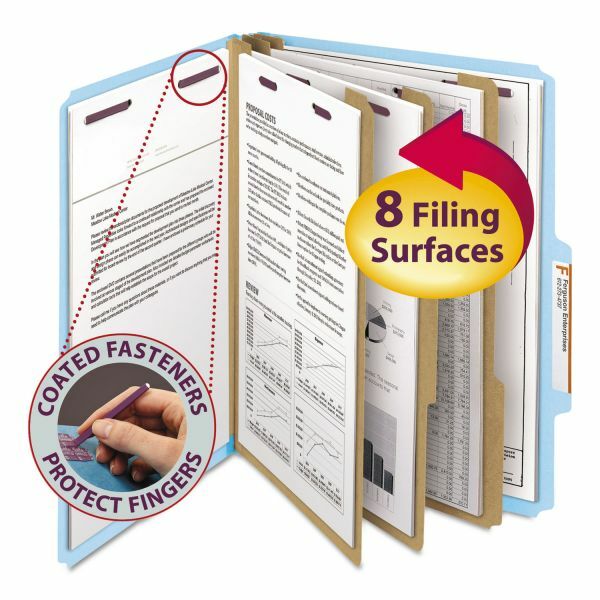 These two 2 coated fasteners on the panels are in positions 1 and 3. 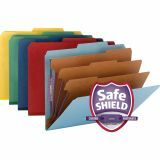 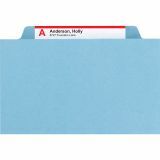 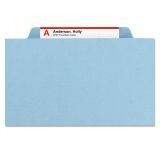 Folders are made of sturdy 23 point Pressboard stock with matching color Tyvek tape. 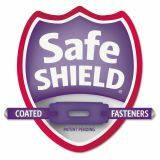 The three dividers offer a 1" SafeShield coated twin-prong fastener and is made of 17 point stock. 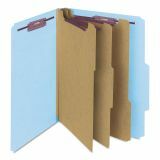 Tab on the folder is 2/5 cut. 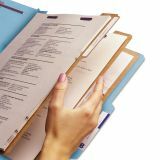 Tab on the dividers is 3/8" high and 1/3 cut."